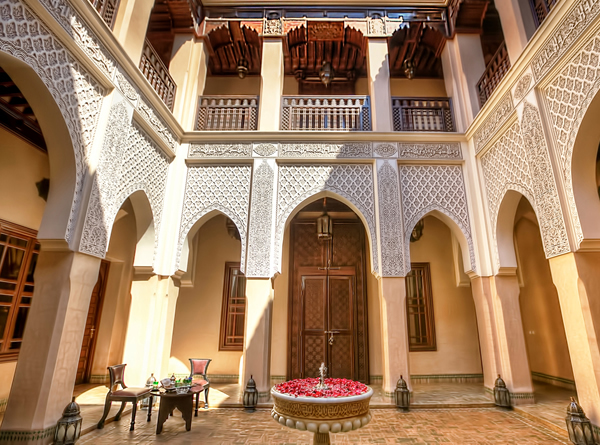 Originally built in the 18th century, the Riad Kniza has been expertly restored by one of Morocco’s most prominent antique dealers and professional tour guide to the stars for over 30 years. 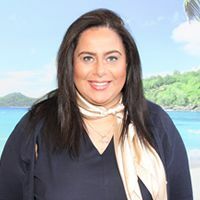 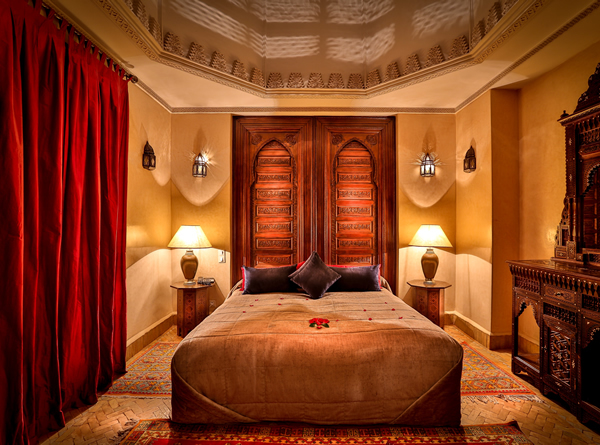 The outcome is a charming riad of only 11 rooms, bursting with Moroccan fair and vibrancy whilst achieving an ambiance of pure peace and tranquillity. 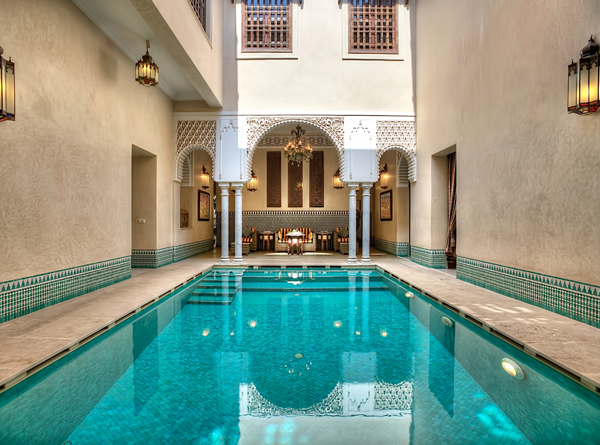 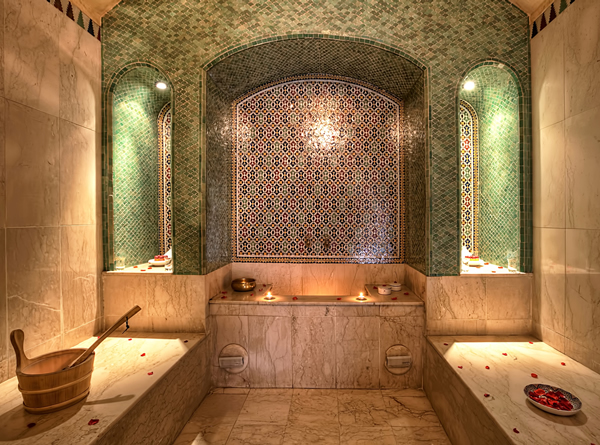 The riad features a pretty outdoor pool and a spa where guests will enjoy a traditional hammam and rejuvenating massage. 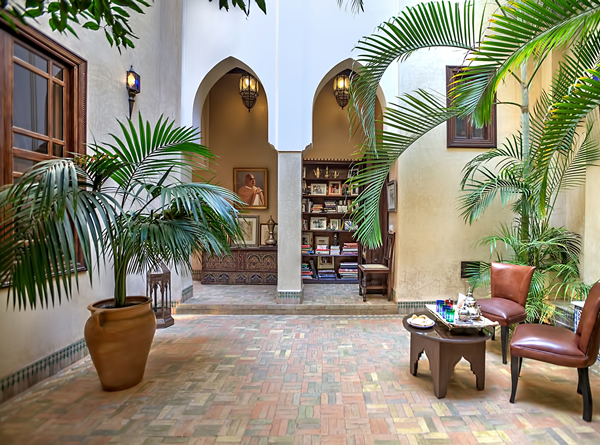 The 3 courtyards and roof terrace are ideal for taking in the Moroccan sun and in the winter guests will enjoy the library and drawing room with its fireplace. 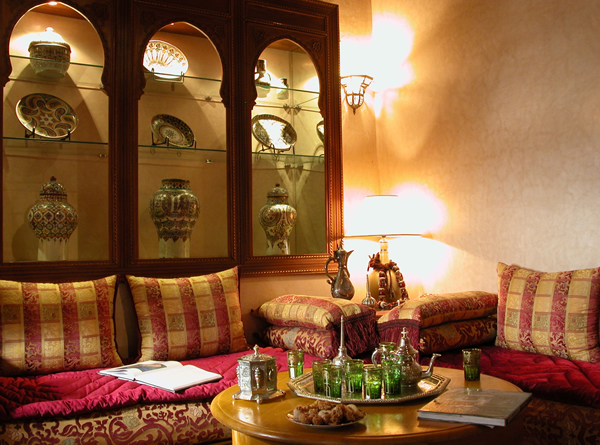 Riad Kniza prides itself on its restaurant and the fine Moroccan cuisine it prepares can be enjoyed in the 2 elegant dining rooms or on the roof terrace. 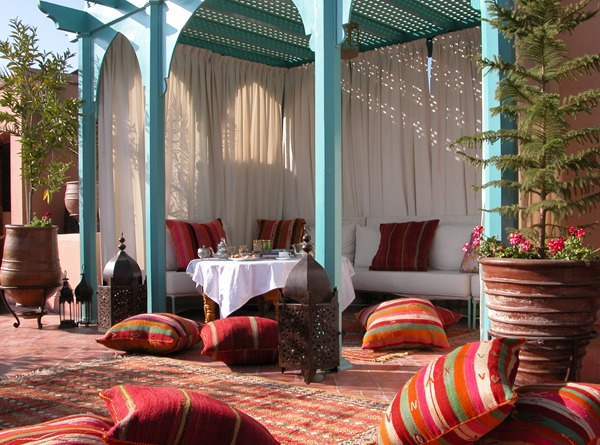 The main attractions of Marrakech are within walking distance. 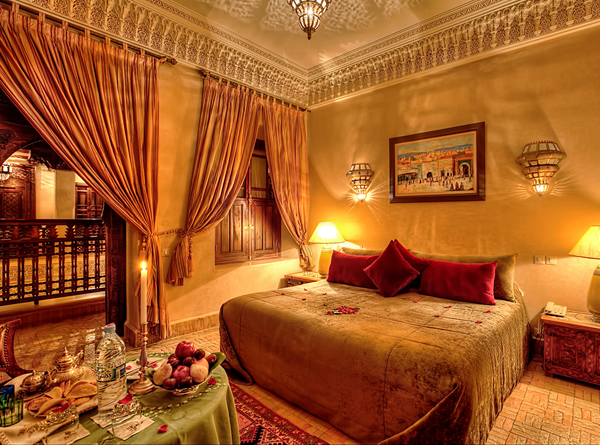 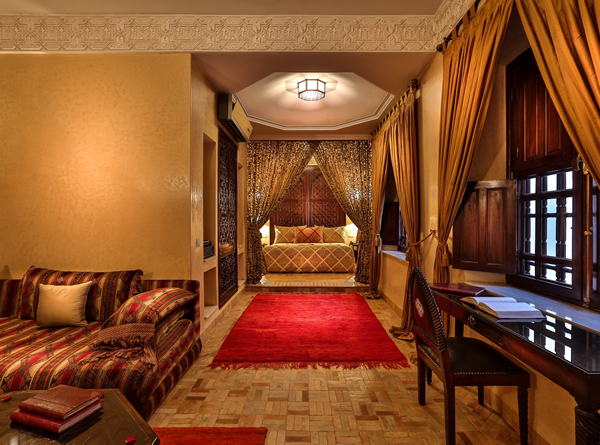 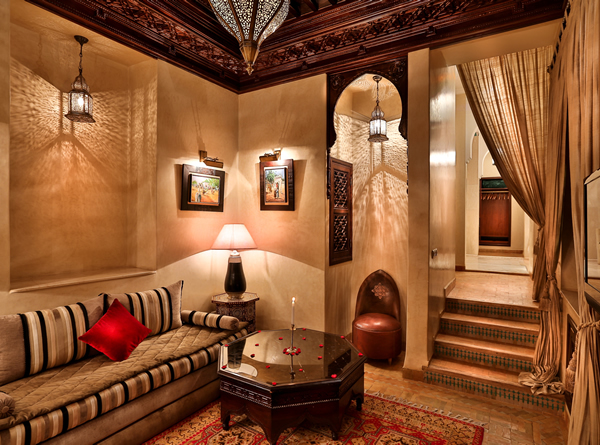 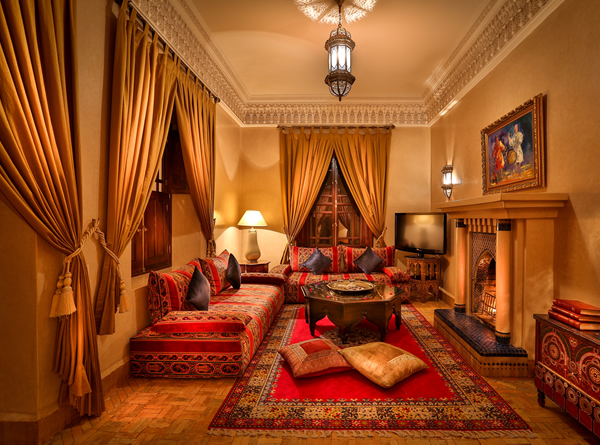 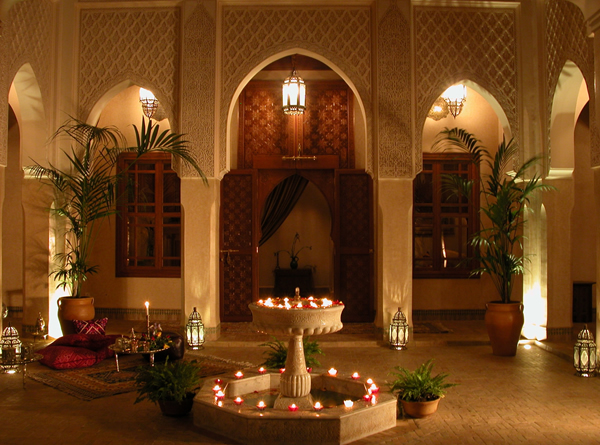 Riad Kniza is ideal for those looking for a refined and romantic riad experience. 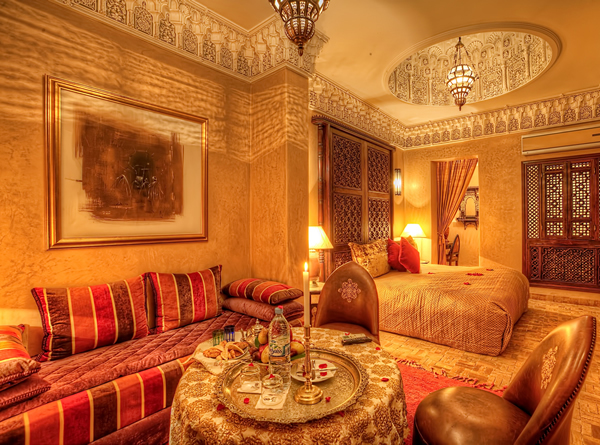 There are just 11 rooms at this hotel. 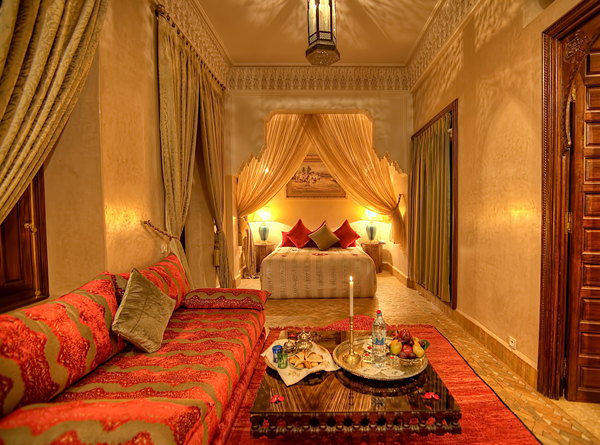 Each room is individually decorated and furnished with traditional Moroccan materials and antiques.